In 2016-2017, Precision Sports Entertainment activated the Army National Guard’s presenting sponsorship of the MaxPreps National High School Sports Rankings with the “MaxPreps Tour of Champions presented by the Army National Guard.” The 12th consecutive award winning, integrated marketing campaign honored 50 of the top high school football teams, 20 of the top boys' and girls' basketball teams, 20 of the top boys' and girls' soccer teams, and 10 of the top girls' volleyball teams in America. Taking place from December through May, the “MaxPreps Tour of Champions presented by the Army National Guard” officially recognized the finest teams in the U.S. through on-campus celebrations and formal trophy presentations. Representatives from the Army National Guard presented the team and coaches with the Army National Guard National Ranking Trophy further cementing each team’s place in high school sports history. In addition to handling all aspects associated with the tour, Precision Sports Entertainment supported the campaign with a comprehensive local public relations initiative in each honored team’s market. To create integrated "live and online" experiences that drives Army National Guard brand interaction, and generates qualified high school leads. To create and manage an event marketing platform that enables the Army National Guard recruiters to interact with high school students, administration, coaches and parents while showcasing their community involvement. 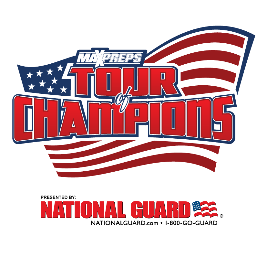 PSE created and activated the Army National Guard presenting sponsorship of the MaxPrep's National High School Rankings with the MaxPreps Tour of Champions program. PSE developed an integrated marketing campaign honoring the nation's top high school football, boys' & girls' basketball, boys' & girls' soccer and girls' volleyball teams with on campus, high energy trophy presentations. PSE supported each tour stop with a local public relations campaign. PSE recreated the trophy presentations on a custom tailored Tour of Champions microsite, which posted the tour schedule, photo album, edited videos of the presentation and blogs specific to each sport and school. PSE successfully executed 100 high school trophy presentations over a 6 month period. The Army National Guard saw increased awareness and perception among students, school administrators, and community members. PSE garnered approximately $1,520,000 in calculated PR value (PR source: Metro Monitor). Tour of Champions events garnered over 10,500 qualified leads during the 2016-2017 season. In 2014-2015, Precision Sports Entertainment developed a partnership between MaxPreps and the Indiana National Guard and the Oregon National Guard to honor exceptional high school sports teams in both states. The National Guard was the presenting partner of the inaugural "MaxPreps Team of the Week" program in each respective state. For 30 weeks, MaxPreps and the Indiana National Guard and the Oregon National Guard chose 30 high school sports teams to highlight as the "Team of the Week." Each week, MaxPreps strategically assessed thousands of high school games to find teams that exemplify hard work, perseverance, sacrifice and courage in the face of opposition. The local National Guard representative then awarded the team with a framed certificate as part of a presentation. To provide a geo-targeted digital media campaign in each state. To create and manage an event marketing extension that enables the Army National Guard recruiters to interact with high school students, administration, coaches and parents. To communicate the National Guard's community involvement through participation in weekly presentations to exemplary high school teams. 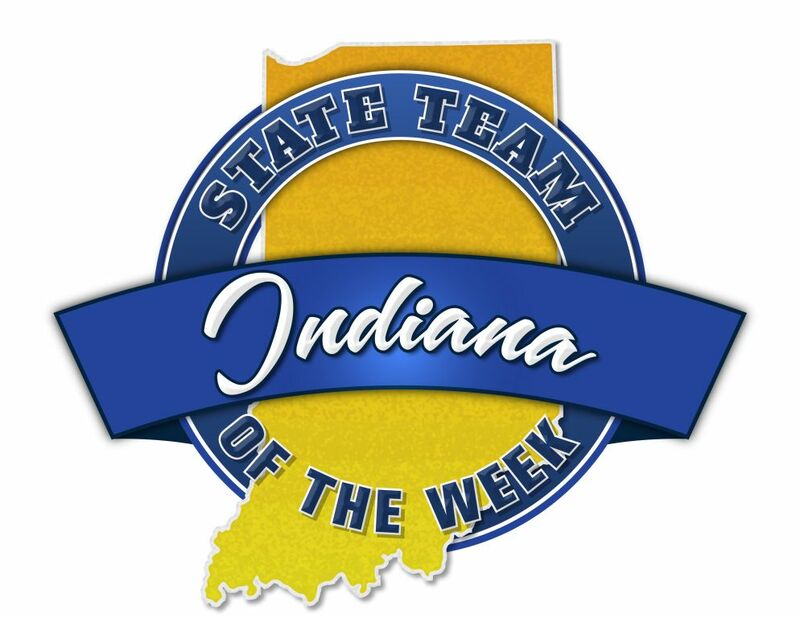 PSE created and activated the Indiana National Guard and Oregon National Guard presenting sponsorships of the MaxPreps Team of the Week program. PSE assisted in event coordination and communication between the high schools and local National Guard representatives. PSE supported five (5) Team of the Week presentations, in each state, with a local public relations campaign. PSE garnered extensive media coverage via TV, radio, newspaper and magazine in respective local markets. Finishing its third year, the Super SteelFit Championships is a New Jersey based functional fitness competition designed to find the fittest of the fit. With six divisions [Men: RX, Scaled, and Executive (ages 40+), Women: RX, Scaled, and Executive (40+)], the participants competed in workouts at the four Qualifiers, hosted in New Jersey Army National Guard armories, and the Finals, which took place on the beach at Jenkinson's Boardwalk in Point Pleasant, NJ, that tested all areas of fitness. To organize and promote a top-caliber fitness competition across New Jersey that provides a memorable experience for the competitors, sponsors, and spectators. PSE reached out to CrossFit endemic and non-endemic companies/products for potential sponsorship opportunities. PSE handled all event logistics and management for the competition as well as the creation of collateral materials for each Qualifier and the Finals. PSE combined a 'feet on the street' approach with telephone, email and social media outreach to increase awareness. Total outreach to boxes in NJ, PA, CT, and DE in 2015 was over 500. PSE tabled at several CrossFit competitions each year. PSE coordinated a media promotional partnership for the past three years with The Box Magazine, which promoted the event series on their social media platforms. PSE handled all public relations efforts including reaching out to CrossFit endemic and non-endemic media outlets. PSE coordinated the charity partnership with the Warrior Wellness Center. Close to 350 athletes from 100 CrossFit gyms (boxes) competed in the four Qualifiers at NJ Army National Guard Armories for a $9,000 prize purse in 2015. CrossFit gym (box) participation- 2013: 45 boxes, 2014: 90 boxes, 2015: 100+ boxes. At the 2015 Finals, over 130 athletes competed on the beach at Jenkinson's Boardwalk with close to 1,000 spectators in attendance. PSE secured 50 sponsors since 2013, 10 of which were returning corporate partners [2013: 16, 2014: 18, 2015: 16]. PSE garnered significant media coverage over the past three years from local television outlets, newspapers, and online blogs including: Verizon Fios' Push Pause, The Star-Ledger, The Asbury Park Press, The Jersey Journal, The Ocean Star, The Westfield Leader, The West Orange Chronicle, and over seventy (70) local Patches. PSE secured a partnership for the past two years with SportsNet New York (SNY) to broadcast a 1-hour special on the Finals. PSE created and developed Super SteelFit's social media platforms, which grew over 200% from inception: Facebook- 2,505 likes, Twitter 1,654 followers, Instagram- 569 followers, and YouTube: 19,482 views. 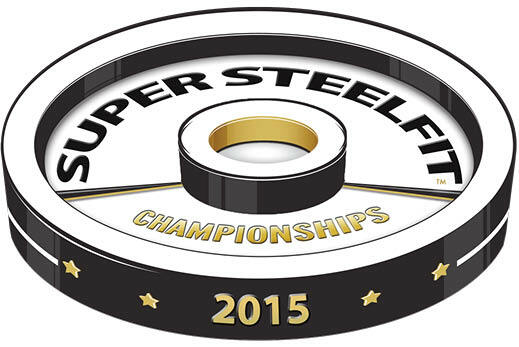 PSE has established the Super SteelFit Championships as one of the region's premier functional fitness competitions. "The event ran phenomenally. Super SteelFit gets the biggest venues and makes us feel like we are on a bigger stage," said Kevin Varno, 2014 Men's RX Champion. Celebrating 8+ Consecutive Years of Sampling! 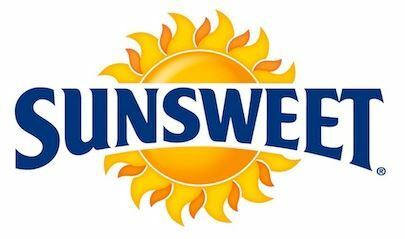 Distribute Sunsweet products and coupons to potential consumers nationwide. Extend Sunsweet brand awareness and health benefits among physicians, heath care professionals, and consumers. Disseminate Sunsweet products & coupons to a targeted demographic in key markets. Educate consumers on product benefits via highly informed brand ambassadors. PSE chose well-attended health and wellness events nationwide. PSE coordinated all logistics for each event. PSE created traffic driving activations to draw consumers to the booth to educate on product benefits and to sample Sunsweet products. PSE handled all the logistics for the on-site activation and execution. Distributed all predetermined sampling products and coupons across the nation. Increased social media engagement with consumers. Created product trial and awareness among a targeted demographic. Provided added value including database marketing, online exposure, and additional branding. Precision Sports Entertainment, utilizing an aggressive and comprehensive sponsorship sales plan including multiple sponsorship sales executives, determined sponsor engagement and “event within an event” strategy to key sponsor categories would be the most effective way to maximize the inventory for the triathlon event. Precision Sports Entertainment, after the title sponsorship was sold, analyzed the remaining inventory available and conceptualized new inventory to ultimately package and create “special tailored events” or relative-programs for corporate partners. Some of the programs including but not limited to the Presenting Event sponsorship, Diaper Race, the Financial Executive Challenge, the CEO Challenge, The Underwear Run, and the two-day Sports & Fitness Expo and so on. Each program engaged the triathlete consumer and their family and friends in a unique, positive manner that ultimately leaves a lasting impression for the corporate partner. PSE determined to sell “title” sponsors to each “event within an event” experience approached the brand who best matches the “experience” psychographics. In addition to the above, PSE was also able to create customized programs for Clif Bar, Muscle Milk, Xterra Wetsuits, Tri-Cycle Rentals, and more for the 2013 event. In 2013-2014, Precision Sports Entertainment developed a partnership between MaxPreps and the National Guard to showcase eleven high school football rivalries across the country. The National Guard was the presenting partner of the inaugural "MaxPreps Rivalry Series." For eleven weeks (September through November), MaxPreps and the National Guard traveled the country to highlight the unique rivalries between local high school football teams and celebrate the spirit that rallies their communities every fall season. To create integrated "live and online" experiences that drive Army National Guard brand interaction and generates qualified high school leads. To create and manage an event marketing extension that enables the Army National Guard recruiters to interact with high school students, administration, coaches, and parents while showcasing their community involvement. To communicate the National Guard's local involvement through participation in pre-event activities and on game day. PSE created and activated the Army National Guard presenting sponsorship of the MaxPreps Rivalry Series. PSE handled the scheduling, management, and pre-event marketing for all 11 rivalry games in 9 states. PSE managed the "Game Day" experience at teach event which included football tosses, free giveaways, and interactive iPad stations. Entire Rivalry Series campaign was chronicled on the MaxPreps Rivalry Series microsite with in-depth videos, photos, and articles showcasing the athletes, coaching staff, students, faculty, parents and community. PSE supported each rivalry game with a local public relations campaign. PSE successfully executed 11 high school rivalry game-day experiences and trophy presentations over a 3 month period. PSE successfully wove the local Army National Guard into extracurricular rivalry events leading up to the big game including but not limited to: pep rallies, bonfires, school assemblies, lunch periods and parades. The Army National Guard was able to generate leads through interaction in the community at pre-event activities at the school and on game day. PSE garnered local, high visibility public relations coverage for the series. PSE conceptualized and directed the development of the Janus Peak Performance Challenge for the Janus sponsorship. The Janus Peak Performance Challenge platform provided Janus an opportunity to engage and cultivate relationships with their key demographic- financial advisors in New York City who share a passion for triathlons. The Nautica New York City Triathlon, conducted a "race within a race" called "Janus Peak Performance Challenge." All financial advisors were encouraged through email and www.nyctri.com to sign-up for the race within a race feature. The Nautica New York City Triathlon finished its pre-event promotion with approximately 250 triathletes signed up for the inaugural Janus Peak Performance Challenge (JPPC) and in its sixth year in 2013, Janus enlisted close to 400 financial advisors. Janus provided gift bags for the specific entries at their VIP tent area. Nautica New York City Triathlon issued a final post race e-blast to executives with a Janus message. The JPPC was promoted during the one hour telecast, which is broadcasted the following week, through a :30 in-program feature. The in-program segment chronicled the winner of the JPPC and Janus' involvment, including an interview with a key Janus executive. Janus also received on-air logo and graphics during the special segment. Janus key executive also presented the winners with a special trophy presentation at the Awards Ceremony. The program is now entering its seventh consecutive season in 2014. PSE facilitated a partnership between Pilot Flying J and Truckers-to-Triathletes (A group dedicated to improving overall wellness for truck drivers) in an effort to promote Pilot Flying J’s healthy focus to its core audience, professional drivers; Pilot Flying J kicked off their training plan with the Revolution 3 Triathlon on July 8, 2012 in Portland, Ore. Pilot Flying J sponsored 11 professional truck drivers from Truckers-to-Triathletes (T2T) and Prime Inc. in the Anderson Revolution 3 Triathlon on October 14, 2012 in Anderson, SC. PSE reached out to local media promoting the partnership and circulating the story. Pilot Flying J and Truckers-to-Triathletes were featured on the Extreme Truckers Show, the largest radio show devoted to truckers and the trucking industry. The show featured over 60,000 weekly listeners and the feature ran for a half hour on November 15, 2012. 35 media placements were garnered in trade publications including but not limited to: Overdrive (unique visitors- 24,608), Layover (49,001), Landline (19,620), Fleet Owner (23,903), and CS Decisions (circulation-41,421). 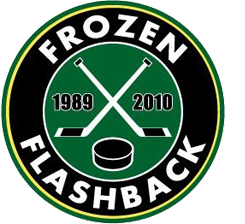 To effectively market, manage and create a PR campaign for the playing of a New Jersey high school state championship hockey game between Delbarton and St. Joseph's of Montvale that was cancelled in 1989 due to a measles outbreak. To raise awareness and money for participating cancer charities. A strong fully integrated sponsor package was created covering signage, media and sampling at the game. A website was developed to promote the game and also linked to an online auction of NHL signed merchandise specifically targeted to benefit game charities. Media advisories and press releases were distributed to strategically defined national and local media approximately a few weeks in advance of the game. The media advisories and press releases were followed up by telephone inquiries to ensure media's awareness of the event. Flyers and posters were placed at many local business in the communities directly associated with the schools and arena to promote ticket sales. Programs were created with each high school to tap into the school's alumni base. There was extensive media coverage, including articles in the Wall Street Journal (front page), New York Times, and Star Ledger sports section. Coverage also included local and national news channels like the Fox News Channel, which had two players in-studio for interviews on their "America's Showroom" program, and extensive Internet coverage. In addition, CBS Evening News with Katie Couric produced a thee minute segment. In total, the "feel-good" story garnered approximately $2.75 million in pre and post game calculated television publicity value. Local television affiliates in markets such as Missouri, Arizona, Ohio and across the country covered the story. Over $250,000 was raised for NHL's "Hockey Fights Cancer" and participating charities. Direct mail, webisode features, e-blasts and fax blasts, and microsite offered national promotional support through MaxPreps to school coaches, administrators, guidance counselors, etc. Co-branded advertisements were run across MaxPreps.com promoting registration, regional winners and the Citizen Athlete Award Tour. Award ceremonies/events were supported by a local public relations campaign that included print, radio, television and online media outlets. Press releases and media advisories were followed up by telephone calls to specific regional and local media outlets. Press releases were then written and disseminated the day of the event. Approximately 1,000 nominations were submitted in 48 states for the first year of the program. National Guard supported event with many high ranking personnel including several captains, a Lieutenant Colonel and a Brigadier General. Media coverage garner in local television, online and print outlets. Precision Sports Entertainment was give the directive by the New York City Triathlon to search for a Naming Rights sponsor. This entitlement position became available after Ford Motor Company lowered its commitment from a title to a "presenting" sponsor. PSE researched the triathlon marketplace and evaluated its corporate brand communcation database to find a potential fit for the event. Having determined that Nautica appeared to be a perfect fit, PSE approached Nautica about the opportunity to "own" a lifestyle event in a key market near its corporate headquarters. Moreover, Nautica, having an existing presence in the triathlon industry, viewed the marketing opportunity as a means to connect with a key demographic: the high income, lifestyle-focused, corporate level executives with families. Initially, Precision Sports Entertainment secured a three-year title sponsorship on behalf of the New York City Triathlon. Nautica received extensive regional and national marketing and advertising benefits in return for its investment. Furthermore the event was called the "Nautica New York City Triathlon presented by Ford" from 2006 to 2009. Nautica then renewed terms for another three years and the event was called "Nautica NYC Triathlon presented by RCN" for 2010 and 2011. 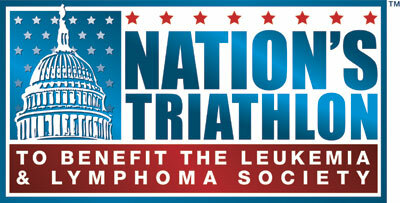 Client: The Nation's Triathlon in Washington, D.C. In February 2007, Precision Sports Entertainment was selected to increase the sponsorship portfolio for the Nation's Triathlon, which at the time just completed its inaugural race. Precision Sports Entertinamnet, drawing its experience from the Nautica NYC Triathlon, utilized an aggressive and comprehensive sponsorship sales plan including multiple sponsorship sales executives and a similar "event within an event" strategy to maximize the inventory for the triathlon event. PSE leveraged its relationships within the triathlon industry and also infiltrated the Metro DC and Mid-Atlantic regions. Additionally, PSE researched and identified races in the region to see what sponsors were active within the local area. PSE was able to secure blue chip sponsors for a second year race that hosted approximately 1,000 triathletes. In its first year working with The Nation's Triathlon (2007), Precision Sports Entertainment secured a title sponsor to the 2-day Sports and Fitness Expo (UnitedHealthcare), a hydration partner (Cytomax and Coca-Cola), an automotive partner (Porche), a retail partner (City Sports), and a host of other corporate sponsors. In total, PSE procured fourteen (14) partners in just over six months. In year two (2008), PSE successfully renewed a high number of 2007 partners and expanded the portfolio to include JetBlue as the official airline and Finish Festivle title, Nissan as the official vehicle, University of Maryland University College as the title to The Nation's Triathlon sub-race called the "Military Challenge", and Timex as the official timekeeper and title to the "Timex Timing Zone, and much more. In total, PSE increased the sponsorship portfolio to twenty-one (21) corporate partners the following year. In 2010, in its 4th consecutive year representing The Nation's Triathlon, PSE secured close to forty (40) corporate partners for the 8,000 person triathlon.